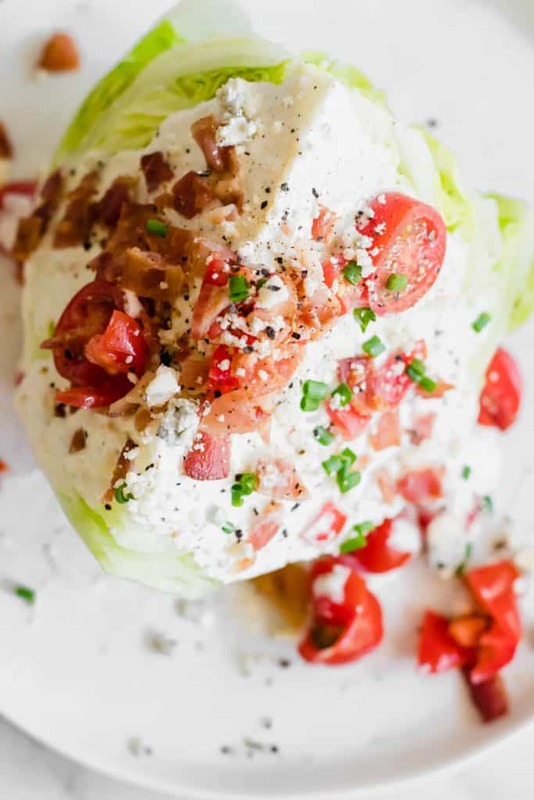 This classic and simple wedge salad is crisp and refreshing. 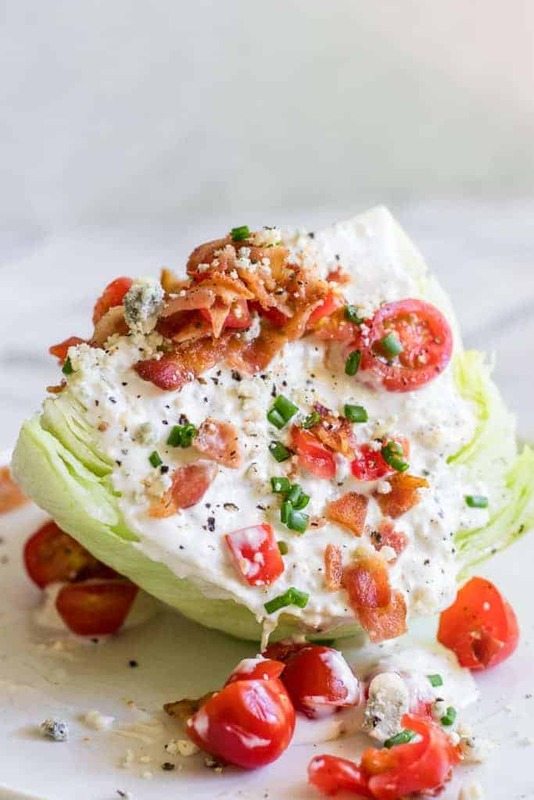 A cold wedge of iceberg lettuce topped with a homemade creamy blue cheese dressing, bacon crumbles, diced tomato and chives. Perfect as a side dish for any meal or as a lunch! Just as the name implies, this salad is made on a wedge of lettuce. 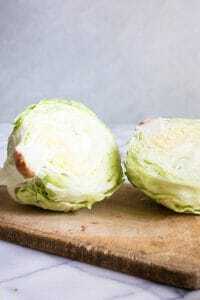 Iceberg lettuce is the type of lettuce used to make a wedge salad. It cuts neatly into 4 wedges. This salad is a favorite to serve at steakhouses. 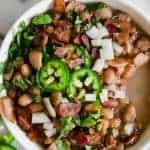 It’s a great cold and refreshing salad to serve alongside any meal. 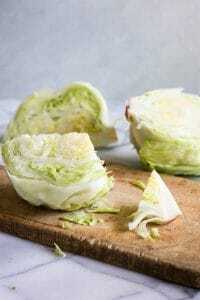 How do I cut a wedge salad? 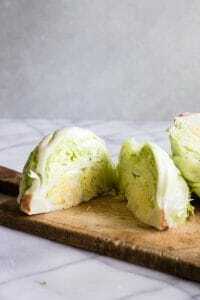 A wedge salad starts with a full head of ice berg lettuce. Remove the outside leaves, typically those leaves are somewhat thin and slightly wilted, or excessively dirty. Once the outside leaves are removed then we can cut the head of lettuce in half. Then each half will be cut into half again, leaving us with 1/4 of a lettuce head. A small chop to the bottom of the wedge will remove the remainder of the stem. Traditionally a wedge salad is made with a blue cheese dressing. Although, you can always switch to a different dressing if you’re not a fan of blue cheese. 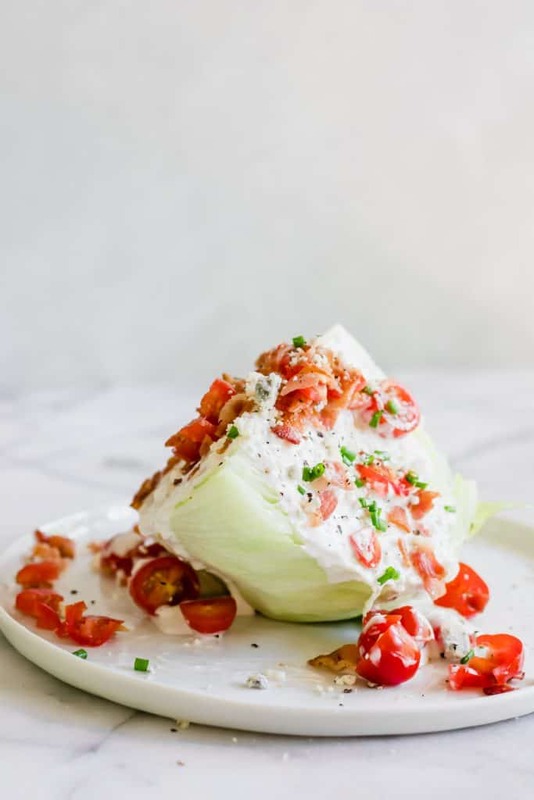 The simplicity of a wedge salad lends to it’s appeal. Keep the toppings minimal. Dice them small. This helps to ensure that they attach themselves to the wedge of lettuce instead of falling off. If you do use some larger toppings understand that those will end up on the plate. How do I eat a wedge salad? 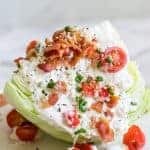 A wedge salad is a just as the name implies, a wedge of lettuce with toppings. Since it’s not individual leaves of lettuce it’s a bit trickier to eat. The easiest way is with a knife and fork. To cut the wedge apart while eating. 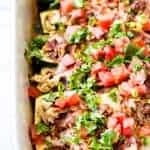 WANT TO TRY THIS WEDGE SALAD? 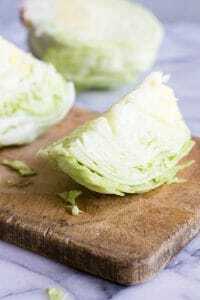 Prepare the lettuce by removing the outer leaves, chop the head of lettuce in half and then half again, making 4 wedges. Cut the end to remove the stem. Plate the wedges and top with the blue cheese dressing, bacon crumbles, tomato, chives, and additional blue cheese crumbles. Cook and prep time includes time to cook the bacon. Dice the toppings small to help them stay on top of the wedge. Larger pieces will fall off. Great pics! 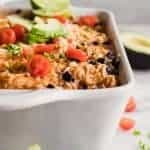 One of my favorite light dinner recipes. 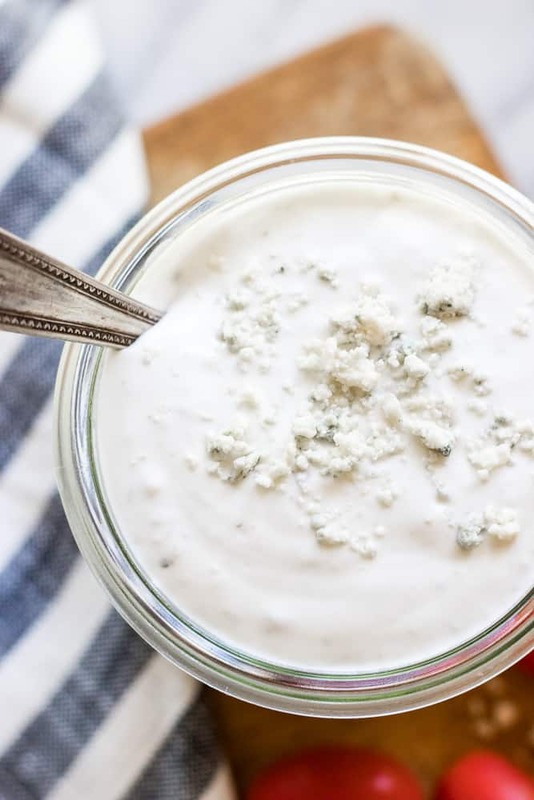 Excited to try your blue cheese dressing. 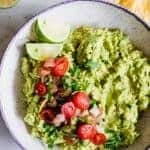 You can always make this with a ranch dressing and sprinkle any kind of cheese you like. A mild cheddar, or some feta would be great on this!